Rare opportunity to own 2.87 acres in the Sugar Pine community (just 8 miles to Yosemite National Park.) This property consists of 4 legal parcels with 3 homes and creek frontage! This is located at 4500 foot elevation and is bordered by National Forest. The largest home is 4 bedrooms & 2 baths, built in 1996 with high end updates including Thermador appliances and a hammered copper bathtub among other features. The main home features custom foot bridges over the creek to the spa. 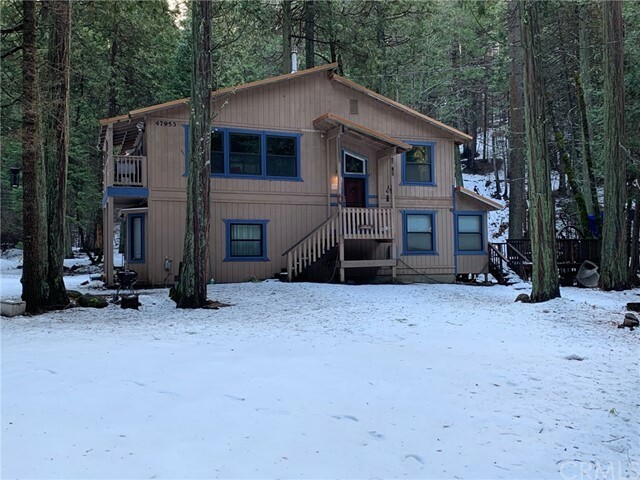 The other two homes areRare opportunity to own 2.87 acres in the Sugar Pine community (just 8 miles to Yosemite National Park.) This property consists of 4 legal parcels with 3 homes and creek frontage! This is located at 4500 foot elevation and is bordered by National Forest. The largest home is 4 bedrooms & 2 baths, built in 1996 with high end updates including Thermador appliances and a hammered copper bathtub among other features. The main home features custom foot bridges over the creek to the spa. The other two homes are smaller cabins, all 3 homes have a metal roof. One cabin is 856 square feet and the other cabin is 816 square feet. With the vacant parcel you could build another home or just keep it as quiet space. Lewis Creek and Hospital Creek run on each side of the main home. This is truly spectacular property! Would make a fabulous retreat, vacation rentals or just your own little piece of beauty.